Several years ago, the Star Trek franchise had a spinoff series called "Star Trek Voyager." 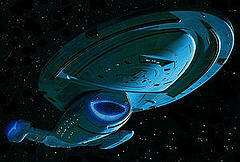 The premise of the show was that one of the newest starships in Star Fleet, a ship called Voyager, was suddenly transported into the outer reaches of the Delta Quadrant and it would take several decades for the ship to return to earth, even at the speed of Warp 10, or something like that. In several of the episodes in this series, Captain Janeway is trying to find a wormhole, a shortcut if you will, that will quickly transport her ship and crew back to the Alpha Quadrant where Earth is located. I mean come on, who wouldn't want to shave off a few decades off a really long space voyage? If the ship's captain could find a stable shortcut through the universe and back to earth, then she would save her crew from a miserably long trip! Everybody likes a good shortcut. I've taken a few in my lifetime, whether it was a shortcut on the drive home, a shortcut on a walk to the park, maybe even shortcuts in my personal life. When given the opportunity, we will often opt to take shortcuts in our lives to avoid pain, save time, and gain instant gratification along the way. I think many of us like to take shortcuts in our personal finances as well. We think we can get away with not having a budget plan. We assume that we don't need to track our expenses and spending each month. We think we can use debt as a tool to get us where we want to go a little bit quicker. We think we can beat up the credit card companies by taking advantage of some miraculous, special rewards, and then think we will always pay the balance in full every month. When it comes to your personal finances, though, it really doesn't pay long term to take a bunch of shortcuts. Sure, in the short run, you can probably get to where you would like to arrive faster via the shortcut, but the rush to arrive is probably going to leave you with severe, long term consequences. You could compare this process to cooking food. Back in the old days when there were no microwave ovens, people would cook their food for long periods of time in the oven, on the stove top, or also possibly use a device such as a slow cooker. If you've ever eaten food prepared the old fashion, slow way, then you know how delicious it can be - thoroughly cooked, moist, and full of flavor! But, as our society has progressed and gotten a lot busier, our food preparation has sped up as well. With the invention of the microwave oven, a whole new generation has grown up eating meals that haven't been quite as tasty or healthy as those prepared in the traditional manner. Sure, you can get by on these quickly cooked meals, but it doesn't necessarily leave you satisfied and wanting more of the same. The best things in life aren't always free. The best things in life aren't those that were achieved easily and quickly. The same could be said of your personal finances. The majority of today's millionaires have acheived their wealth slowly, over time. They are disciplined in having a monthly money plan combined with long term financial goals. They avoid debt like the plague. They live frugally. They buy used, dependable vehicles instead of brand new. They pay for stuff in cash and never at retail prices. They focus on their balance sheet, not on how big their house is or how many expensive cars they own. Are You In A Financial Hurry? People who are balance sheet wealthy think like the tortise, not the hare...slow and steady wins in the end. 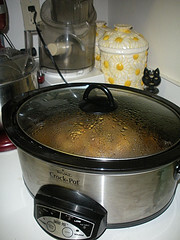 They "cook" their financial meal in a slow cooker, not a super high speed microwave oven. So, where are you at in your financial life plan? Are you all over the place like the hare? Are you looking for financial shortcuts and "get rich quick" schemes? Or, are you truly taking your time with your money? Do you have a strategic plan in place? Are you working that plan with deligence and consistency? The majority of the wealthy people in the world today know from first hand experience that there are no shortcuts in personal finances. Are you a believer too, or are you still chasing a rainbow that's never going to materialize? The year 2011 is coming to a close and a new year is about to begin. Why not make it a goal for the year 2012 to get a financial plan in place and take your time with your plan? There are no shortcuts. Be the tortise, not the hare.